One of the most common reasons for installing an IP security camera system is to have an effective surveillance presence on your premises at all times. 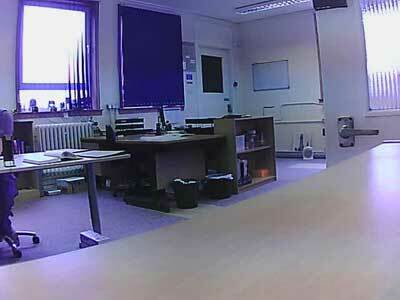 In many scenarios, that means having an IP camera that copes well in poor lighting conditions. 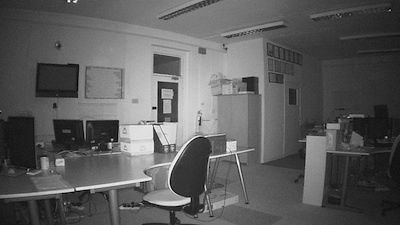 Almost every IP camera on the market now has some form of day/night feature, from basic image optimisation technologies such as those featured in the Panasonic BL-C101 and the Sony SNC-CH110, to advanced, ‘true’ day/night functionality in mid- to high-end models like the Axis P1347 and Sony SNC-CH280. Later in this post we’ll give you our recommendations for the best day/night cameras currently available, but first we’ll take you through what true day/night means and why it should be an important consideration for any IP CCTV installation. True day/night: what is infrared lighting and why is it useful? There are various flavours of day/night technology. At the entry level there are image optimisation technologies such as Panasonic’s ‘colour night view mode’ and Sony’s ‘electrical day/night’ feature. These utilise a variety of techniques to improve image quality in poor lighting conditions, but do not offer a ‘true’ day/night solution. As a result, your mileage may vary with these systems. If you want a round-the-clock monitoring solution that’s not going to let you down, you need to aim for true day/night functionality, and this is dependent on infrared light. Infrared light is outside the range of light humans are capable of seeing. Light is an electromagnetic spectrum, and ‘visible’ light – the colours that we can see – is a tiny part of that spectrum. Think of it as tuning a radio and only being able to listen to one station. 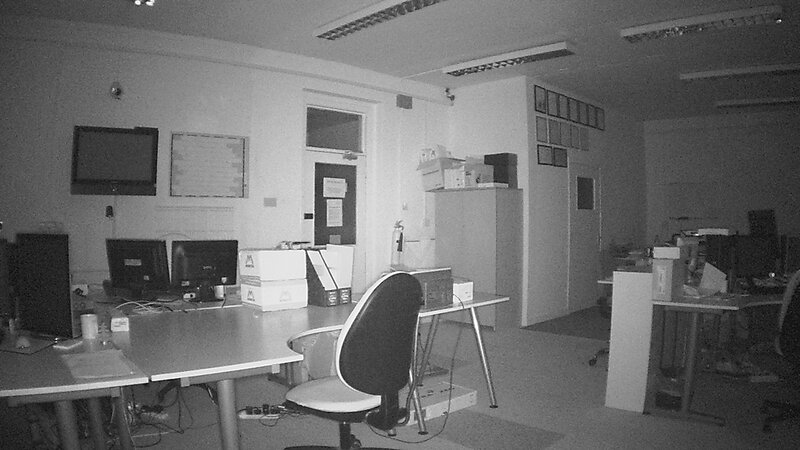 IP cameras with true day/night functionality leverage the infrared part of the electromagnetic spectrum to create a black and white image that we can see (colour doesn’t mean anything in infrared). Cameras that can ‘see’ infrared are not reliant on visible light to work, and can therefore provide a high quality image in what looks to our eyes like complete darkness. This means that there are very few scenarios in which a true day/night camera is unable to provide an adequate image. Almost every true day/night camera above entry-level is equipped with an infrared cut filter as a standard feature. For an infrared IP camera to work, it also requires an infrared lighting source. Some cameras are capable of seeing infrared if accompanied by standalone infrared lighting, and some cameras come with integrated infrared LEDs, offering a one-stop solution. In the next section, we’ve put together some advice on what to look for when deciding which true day/night camera is suitable for your requirements. There are a number of factors to bear in mind when choosing a true day/night camera. Wavelength: there are two infrared wavelengths to choose from when selecting a true day/night solution. The numbers don’t matter but their pros and cons do. An infrared light source that use a wavelength of 850 nm will have a conspicuous red glow to it – not very useful when you want the camera to remain hidden. Lighting that uses a wavelength of 950 nm does not glow but is roughly 50% less powerful than 850 nm lighting, so it should only be used where a covert solution is a top priority. Integrated lighting: some cameras come with integrated infrared LEDs. The advantage of this is that the camera can provide an infrared image out of the box. The disadvantage is that the close proximity of the LEDs (they are almost always positioned around the lens) can sometimes lead to uneven lighting conditions that result in sub-optimal image quality. All cameras with integrated LEDs work at the 850 nm wavelength. Effective distance: most integrated infrared lighting has an effective distance of 15 – 25 m, plenty for most applications, but bear this in mind if you are planning to cover a wide field of view with just one camera. If you think you will need more lighting, it would be better to go for a bespoke solution using separate infrared lighting from a manufacturer like Raytec. Remember that a camera’s infrared capabilities will, for the vast majority of applications, be used for less than half the day. Don’t forget to check that the daylight capabilities of your camera meet your requirements. A couple of other things to consider – infrared cameras do not work well when placed behind glass. The infrared lighting reflects off the glass and floods straight back into the camera, resulting in a next to useless image. Also bear in mind that materials reflect light differently in infrared than they do in visible light – for example, trees and grass reflect a lot more infrared light than they do visible light. Make sure that if you are testing the camera you test it in both day and night conditions, as an image that looks good during daylight hours might not meet your requirements when it switches to infrared. There are many other subtleties and minor points to consider, but if you bear the above in mind when choosing an IP camera, you will be on the right track. In the final section, we have put together a short list of true day/night cameras that we would recommend. Entry-level: Y-cam Black SD (£155) – the lack of an infrared cut filter and the resulting colour distortion in certain conditions from this camera’s daylight image might not be suitable for all applications, but if you need a 24-hour entry-level solution with integrated infrared lighting at this price point, you’re not going to find a better camera. Basic: Y-cam Bullet (£289) – a step up from the Y-cam Black SD, the Bullet is equipped with a cut filter and infrared lighting, providing a decent image in day and night lighting conditions out-of-the-box. Mid-range: Sony SNC-DH160 (£498 until 30/06/2011, normally £568) – at this price point your expectations of image quality should be more rigorous, and the Sony SNC-DH160 delivers with its infrared cut filter and integrated LEDs, effective up to 25 m.
High-end: Sony SNC-CH280 (£1,195) – at this level expect exceptional image quality in almost all conditions. The SNC-CH280 is equipped with integrated infrared LEDs and an infrared cut filter, and is suitable for mounting outdoors, making it an ideal all-round solution for a wide variety of locations. If you are looking for a more customisable solution, the Network Webcams site has a full listing of true day/night cameras and Raytec infrared lighting. cant you test the ones that are cheaper, such the cheapest i[ cameras from regular sometimes remanufactered and sold at cut rates to defect repair dealers. Thanks for this incredible information on daynight infrared camera features.